A cosy apartment close to the center and the beach. Located in a quiet area close to the center, this 2-room apartment will charm you with a mix of modernity and tradition. This 1st-floor apartment is composed of a living-room with a sofa-bed and a renewed open-plan kitchen, a bedroom with a large bed and a renewed shower-room. On the canal side, a large balcony with a wonderful view on the canal and the Church. 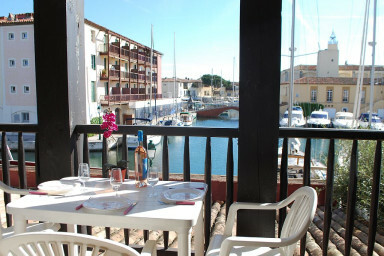 A unique view on Port Grimaud! Located close to the facilities, it offers a great comfort.